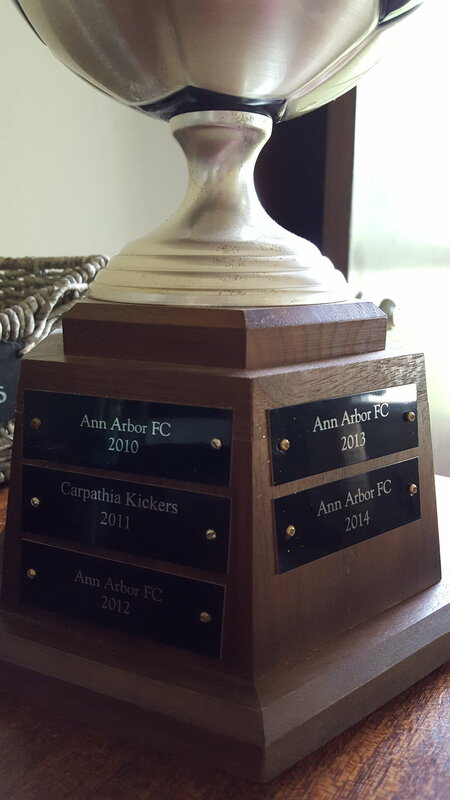 Established in 1997, we’re the second oldest club in Ann Arbor, MI. We have competitive coed, men’s, and women’s teams that play in local leagues as well as state, regional, and national tournaments both indoor and outdoor. We play because we love soccer, and we’ve been fortunate to have a lot of really great teams that have had a lot of success. We’ve won tournaments at the state, regional, and national level and have won over 100 indoor and outdoor division and league championships. We offer coed, men’s, men’s o30, and women’s teams. All of our teams are playing outdoor soccer in the Ann Arbor Premier League. All games are 11 vs 11 full field and all games are full length, 90 minute games. All games are played at Mitchell Field in Ann Arbor, MI. We love soccer and we love our community. We represent this love through competitive indoor and outdoor soccer teams playing in local, state, regional, and national competitions.